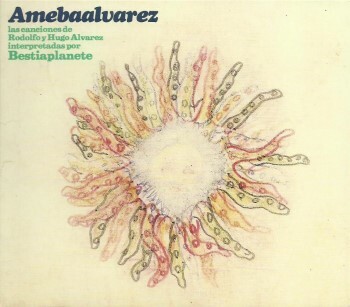 "Amebaalvarez" (Amoebe Alvarez) is Bestiaplanete's tribute to the music of Rodolfo and Hugo Alvarez. Contrary to Bestiaplanete's previous albums, "Amebaalvarez" is a straightforward folk/pop/rock album. No sharp edges. No surprises. I enjoyed listening to it, but I do prefer the more experimental side of Bestiaplanete.